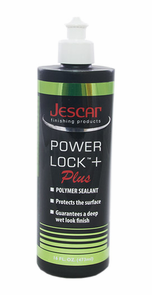 Home > Exterior Care > Car Wax, Sealants & Coatings > Paint Sealants > Menzerna Power Lock Paint Sealant 32 oz > Jescar Power Lock Polymer Paint Sealant 16 oz. 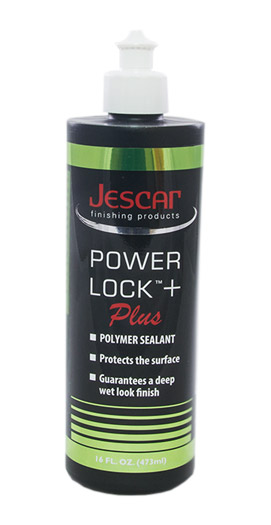 Jescar Color Lock Carnauba Wax 16 oz. Just applied this yesterday, so easy to apply and remove, made the metallic really come out. ProsVery easy to work with. Super easy to apply and remove. I love how this feels and how long it lasts. I use it on my enclosed trailer and my vehicles. Used this on my black Macan GTS for some protection from the Florida love bugs. Its only been about a month, but it still looks perfect. I used this for many applications. While the depth and shine and clarity isnt added as some other sealants, this definitely beats them in the longevity category. I love this product simply because its easy to use and it lasts and lasts and lasts. Now dont get me wrong it does leave a nice depth and shine. Proslasts a LONG time, love it. ConsNot the shine/depth/clarity sealant but thats ok.
Have used this in extreme tropical conditions, and there's nothing compared to it when it comes to protection and durability. Easy to apply and removal. Extremely recommend this product. The Blackfire Wet Diamond and Menzerna are probably the two best sealants out there, even after being introduced more than five years ago. The only difference is the price, this being considerable cheaper. ProsPrice, compared to BFWS; buffs off like butter. 50/50 wax, but I am happy so far with this product. Excellent product. Easy to apply and super easy to buff off.Leaves a beautiful shine and hopefully from other reviews will protect just as well. Expensive, but worth every penny. Two coats on my M5 still beads water after three years. I wouldn't use anything else on my BMWs. ProsWorks great! Easy to use. A little bit goes a long way. This stuff is fantastic. I put it on my new car after washing and could not believe the difference. The surface felt smooth after cleaning but felt like it was oiled after being treated with this product. The slickness was crazy! It rained later in the day and the beading was amazing as well. This product is very impressive. It was very easy to put on with a microfiber sponge and then after an hour easily rubbed off with a microfiber cloth. I actually called Menzerma about how long to wait until I should remove it and a very nice gentleman called me back. He said that he puts on this car, waits, has a few "beverages" and then removes it! He suggested that after 3 hours I put another application on. I did, and it was a breeze, well worth the few mnutes. Also, goes on and protects chrome, plastic, headights, backlights, and alloy wheels. When i did get some on my windshield came right off. Love the stuff!